Hello there & welcome to May! Wouldn't it make a nice teacher appreciation gift? 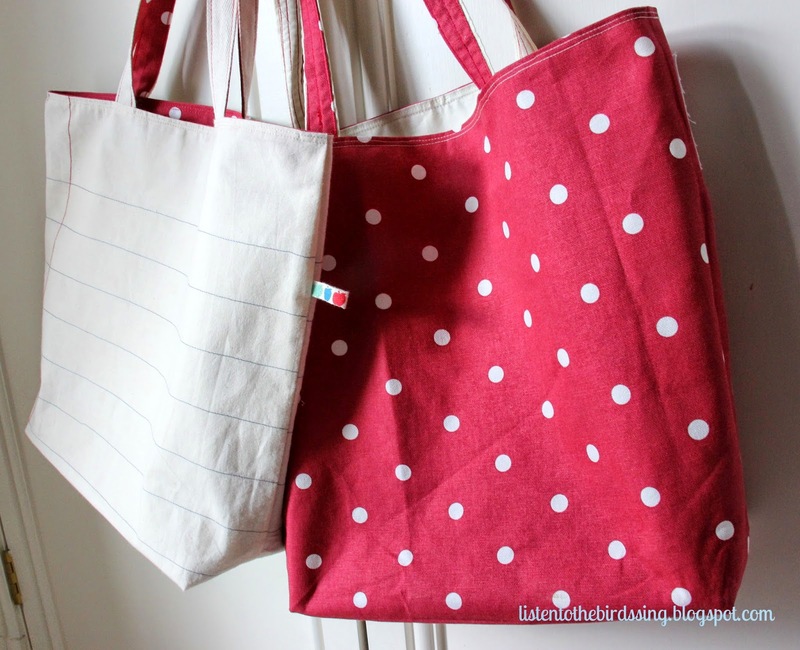 This tutorial will guide you through the process of making basically two bags, joined at the top … one with a notepaper effect and an alternative, so that the bag can be reversed as desired. 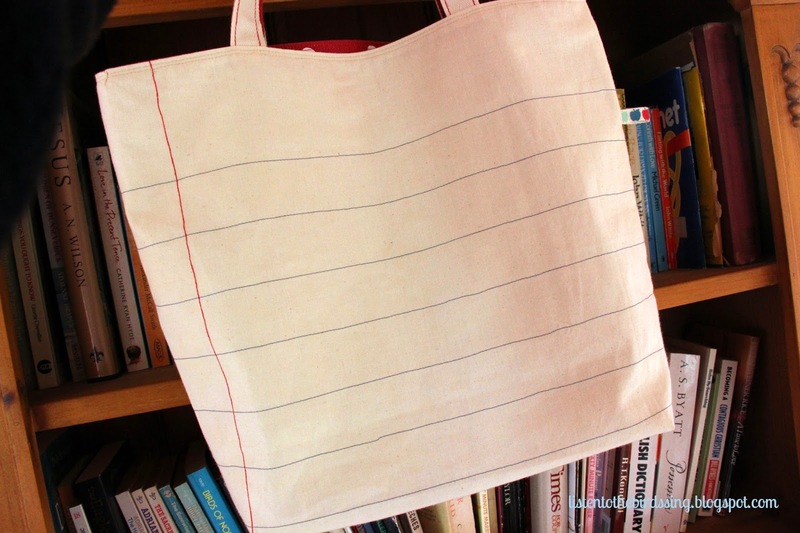 Heavier weight cotton or canvas would be ideal fabrics. 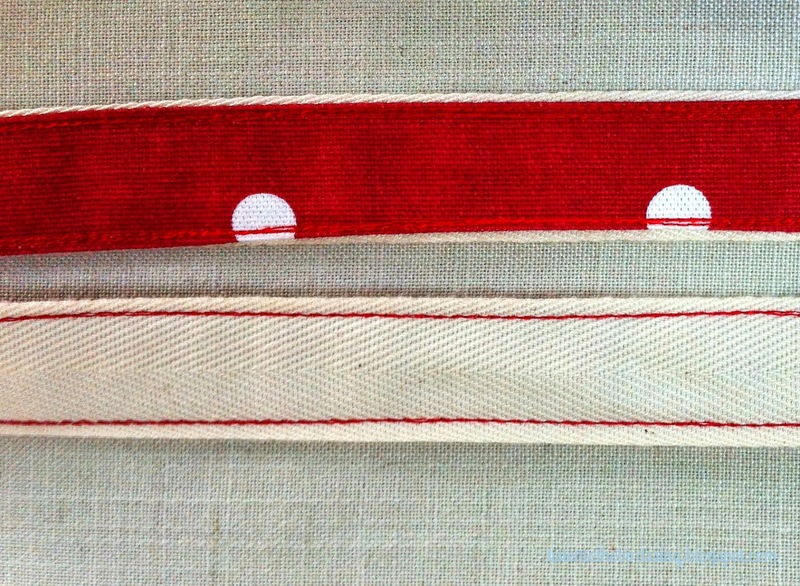 A quicker option would be to use cotton webbing, instead of making straps.
" 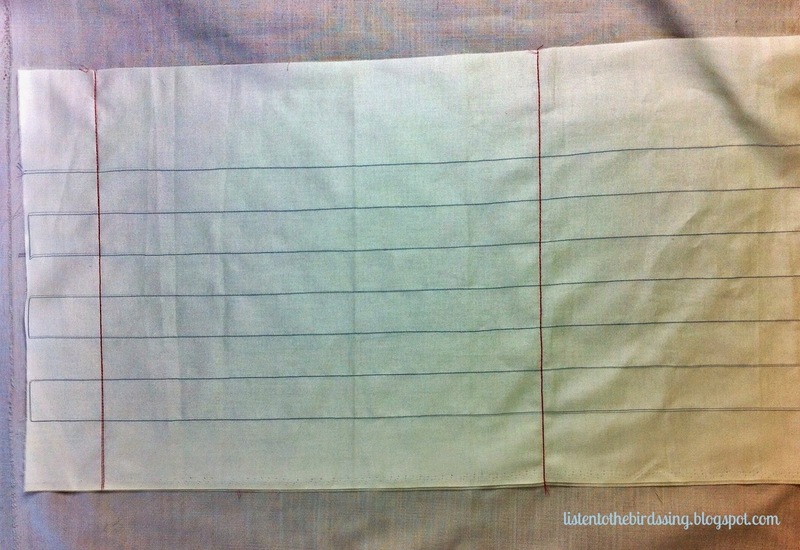 Fold your “notepaper” fabric in half lengthwise right sides together, being careful to match the blue lines. 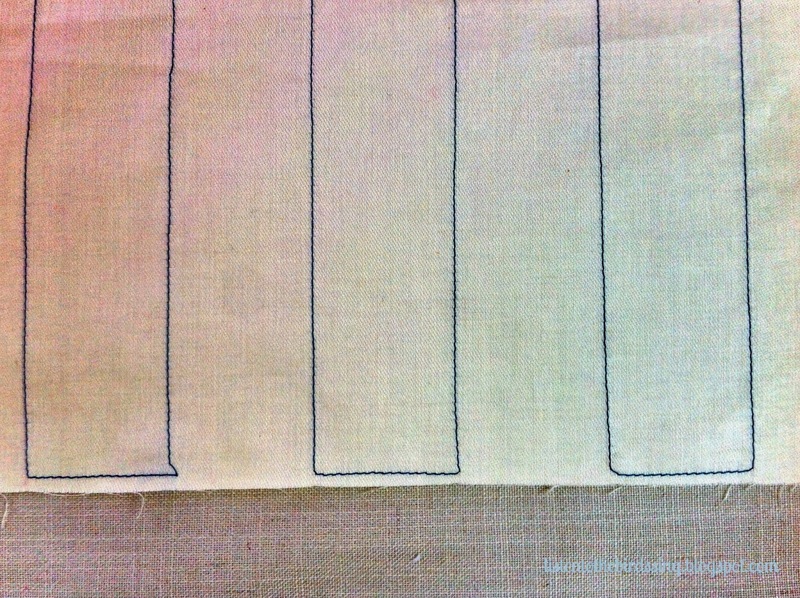 Stitch down the raw edges using ¼” seam allowance (so that you catch the blue side stitches in the seam) & along the bottom raw edge.
" 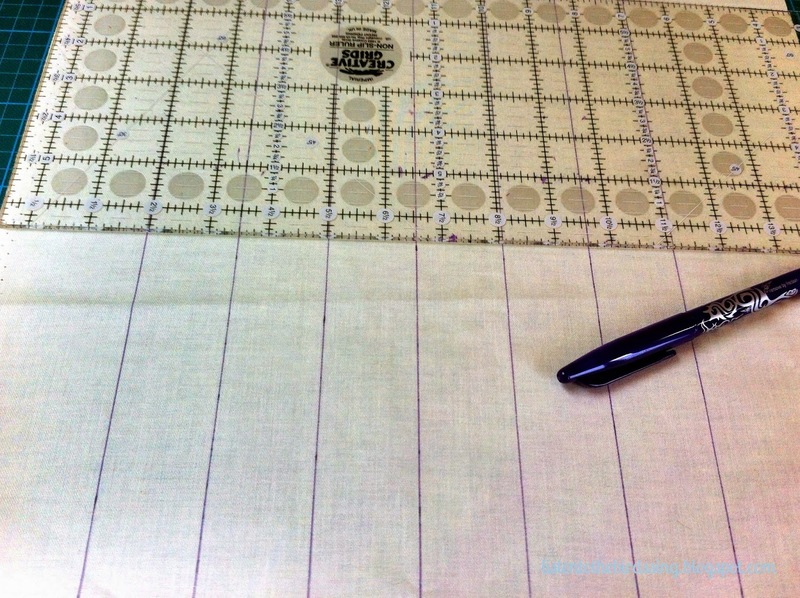 To make the corners, take the bottom seam & the side seam, & place together to make a triangle. 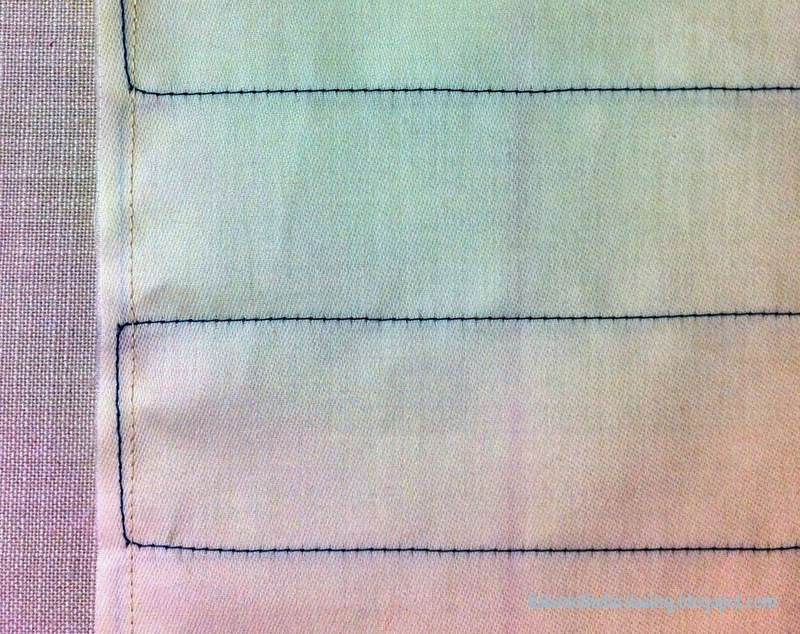 Measure carefully to make sure that the same amount of fabric is on both sides of the seam & iron to keep it nice & flat.
" 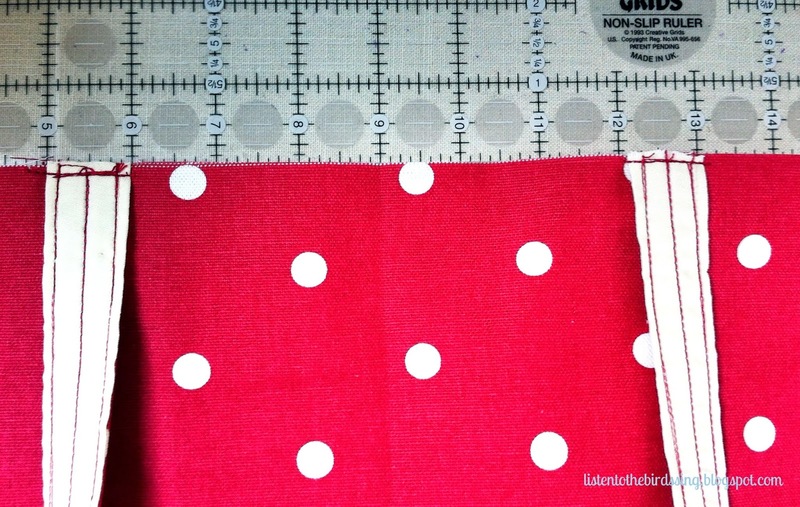 Measure 2” down from the tip of the triangle & draw a straight line across the fabric (you should have 2” on each side of the seam). 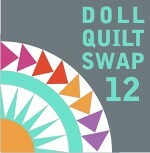 Sew on top of the marked line (this should be a total of 4”).
" You can either trim the excess fabric in the corners, or leave is as it is… (I prefer to leave it for the outer bag & trim for the reverse bag).
" Repeat this for the other corner of the bag.
" Repeat step 4, but leave a gap of 4” in the bottom seam (which you will use for turning the bag through later).
" 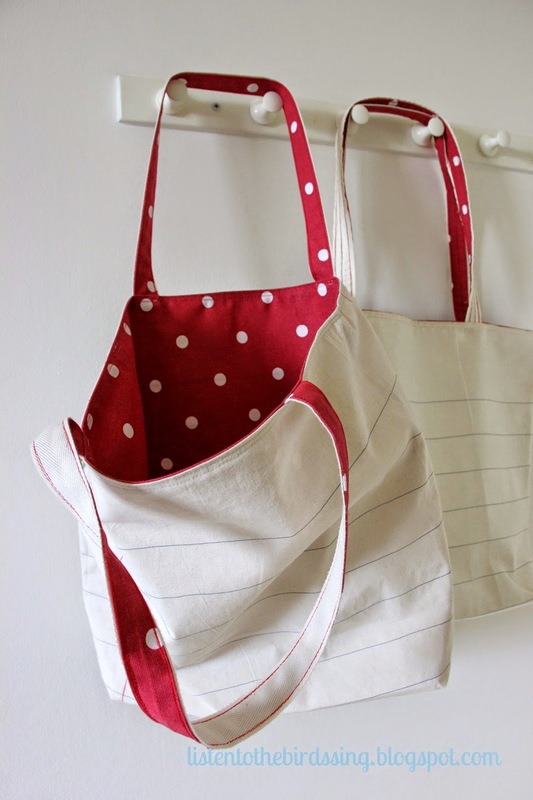 Pull the bag through the gap in the reverse bag & hand-stitch the gap closed using a ladder stitch.
" Push the reverse bag into the outer bag & press.
" 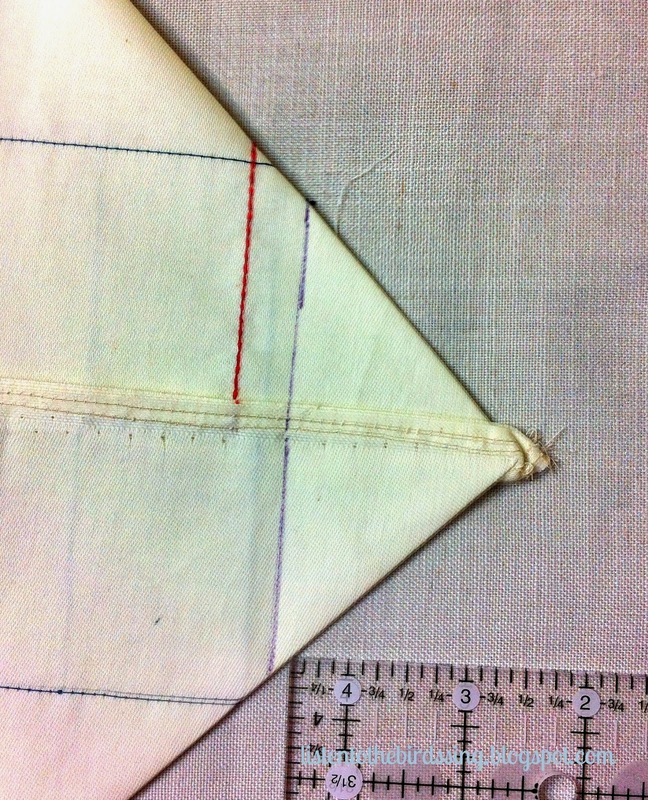 Topstitch around the bag edge with 1/8” seam & 1/4” seam.
" Press the bag again & sit back & admire your work! I love these bags!! Thanks for the tutorial! 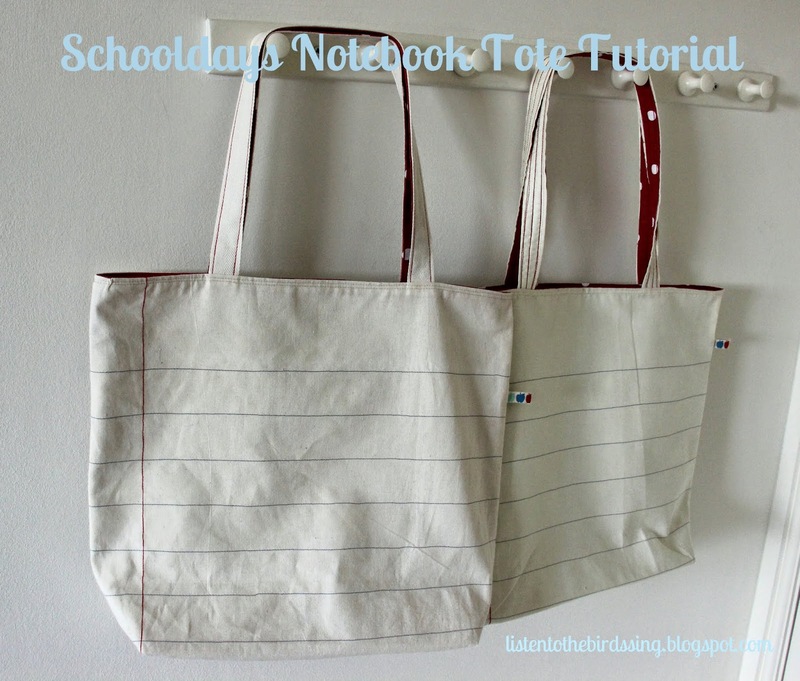 Really great design Karen- the notebook paper effect is wonderful! 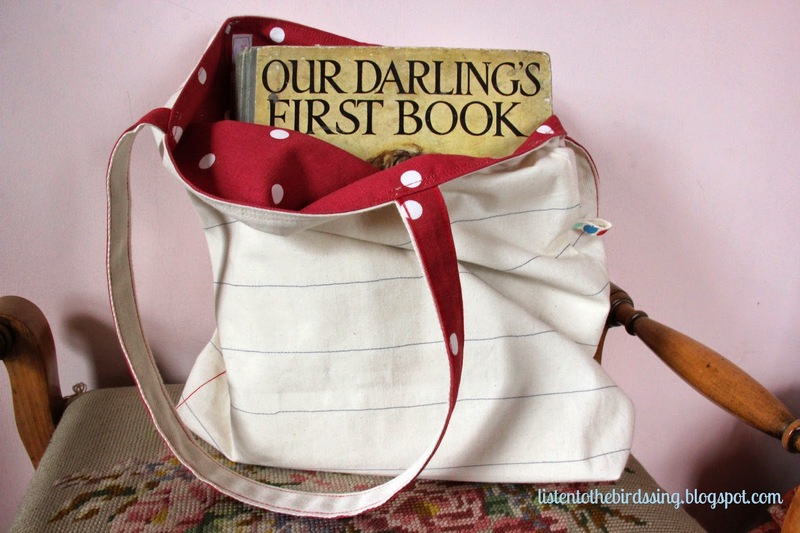 A lovely gift, love the stitched lines- simple but so effective! I do like your bags & so nice to offer the tut. 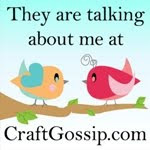 I rarely make small things & really don't have patience for them as much as I admire! Just too few hours in the day……………….